Women were arguing over how the actor died. 3. Heath Ledger: The Australian actor died from a tragic overdose, but his brilliant performance in 'The Dark Knight' scored him big. With 'The Dark Knight' grossing $991 million in box office revenue worldwide, Ledger would've made an estimated $20 million over the past year. A fight over how Heath Ledger died turned a birthday party in Stratford into something you’d see on an episode of Jerry Springer. Amy Galaz, 32, had four female friends over this to celebrate her birthday over the weekend and drink some wine, the Connecticut Post reports. The drama began when Galaz and a 23-year-old began to argue over how Ledger died, police told the newspaper. Galaz grabbed the friend, broke her wine glass in her hand, put her legs around the victim’s neck and choked her and pushed the woman against a doorframe, police told the Post. She was charged with second-degree strangulation, third-degree assault and disorderly conduct, according to court documents. 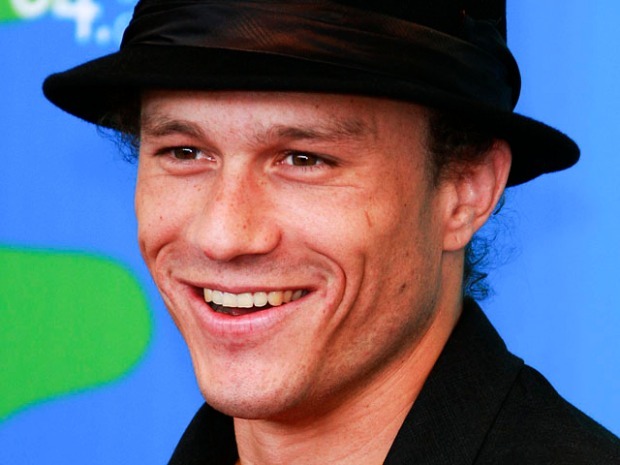 Ledger died on Jan. 22, 2008 in a New York apartment from an accidental drug overdose. He was 28. Galaz is due in court on March 24.